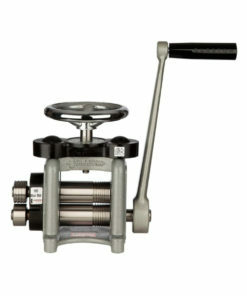 Mini Rolling Mill – Mini C80 rolling mill from Durston Tools. The Mini C80 rolling mill with side extensions has been manufactured in a one-piece cast iron construction for optimal strength and rigidity. 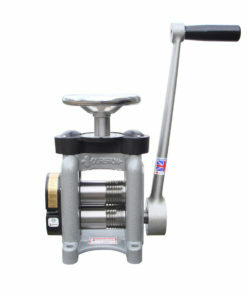 The side extension rollers come with four half rounds. As the world’s foremost manufacturer of rolling mills, Durston’s mills are recognised globally for their reliability, incredibly robust construction and build quality. 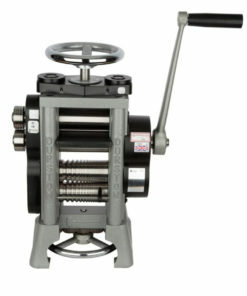 The Mini C80 rolling mill with side extensions is no exception and has been manufactured in a one-piece cast iron construction for optimal strength and rigidity. It is compact but still with everything you need and has precision hardened and ground rolls to 64RC. 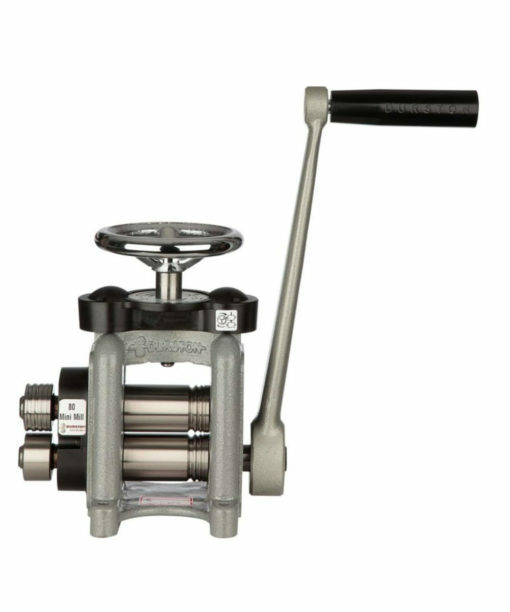 It has maintenance-free bearings and has large, easy-to-read calibrated discs. The side extension rollers come with four half rounds. The C80 has nine wire shaping rollers ranging from 6.5mm to 1mm. The width of the rollers is 80mm with a diameter of 45mm and can take metal sheets up to 5mm thick. The mill also benefits from four side extension half rounds of 4, 3, 2 & 1.5 mm. 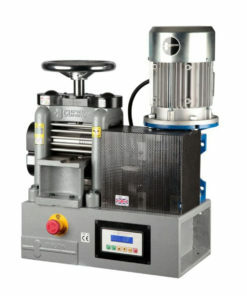 The entry-level C80 rolling mill from Durston: part of the award-winning Durston product range since 1961. We recommend that your Durston rolling mill be securely fastened down for safety, and we have a variety of stands which are ideally suited for this purpose. 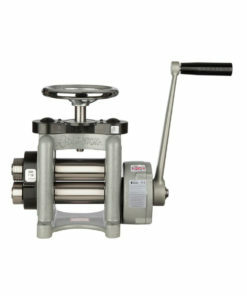 This is mill is durstons’ entry level one – it’s rollers are only 80 mm long. I find it works perfectly for what I need it to do. Build quality is really good – it’s super solid. Feels like it’s gonna last a lifetime. The quality of the finished surfaces after rolling is really high. Really pleased with it!